I wish I kept all my letters I had bags of them. My girlfriends and I wrote every day. Heck even guys use to write love letters in those days. *sigh* I'm sad why did I throw them out! Last edited by LoCo; 24-11-2013 at 00:32. Im 28 and vaguely rememberer the rotary phone. We didn't even own a computer until I was 13 or 14. No internet till maybe 15, was dialup and we were only allowed on for school things and native 15 mins of random stuff. You got dcd every 4hrs or if someone called. My dad drives trucks, I remember once he left for work, he had to use a payphone to contact us if he was going long distance. I remember him waiting until we were at an exact point before using tge cb/uhf to contact his boss in the office so he knew what his next job was. 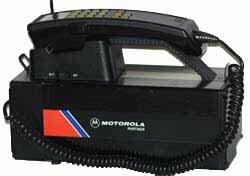 Then he got an analogue "mobile" phone installed ($800!) And something like $2 a min call cost! It was huge! Now, the truck he drives has gps positioning and his boss txts his work details to the trucks phone/radio and he calls mum and anyone else twice a day or more for $30 a month! I remember recording to vhs/tape, listening to the chipmunks record, pressing buttons on the tv, walkmans, diskmans and mp3 players. Last edited by shadowangel0205; 24-11-2013 at 00:31. - writing letters and letters and letters to my cousin (which I still have)..
Married to my soul mate, Mummy to one beautiful little girl, wishing for a little boy to complete our family. Dolly Dr and the sealed section would make us blush as it was "naughty"
Does anyone remember those school project kits you got from the Newsagent. They were a couple of $ and on one topic say Ancient Rome or something. You cut the pictures out and mostly copied the text off them. Bit different to the powerpoint presentations of today! I was just thinking about these the other day. Oh, and the walk to and from the library. and it had a shoulder strap. It weighed a tonne too. Last edited by SpecialPatrolGroup; 24-11-2013 at 00:56. Amazing how fast technology is changing I wonder what it will be like 20 years from now. this is what I think my dad had! Before the internet if I couldn't sleep (such as now) I would be lying in bed listening to music on my Walkman instead of being on bubhub. I chart my overseas trips by what music device I took. First trip was a walkman. Next few trips were a discman with a bunch of CD's and a million batteries. Then the IPod! Made taking music away so much easier. You can still get those kits! I saw some the other day and I was amazed. This thread has made me feel super old! We did the letter writing thing. Sadly my mum found a whole bunch of them a few years ago and I think was so shocked by their content that she threw them out! We got the Internet at home when I was 15 and I got my first mobile phone the year I left school. I had free 20 min calls after 9 so would wait til 9 then call my friend, talk for 20 mins, hang up and call her back! What Internet provider are you with? Anxiety is ruling my life and love life. Internet cheapie - don't know if I believe it? All times are Australian EST. The time now is 04:23.